Those of us who live on or visit the Georgia Strait/Salish Sea have the opportunity to appreciate it. Our appreciation is so multifaceted. It is beautiful. It is also an extraordinary economic and ecological asset. A development that puts this area at risk are current plans to ship thermal coal from the Powder River basin in Montana to China via a small deep sea dock at the Lafarge Quarry on Texada Island. This Quarry has been active for years shipping limestone and other rock and aggregate to Vancouver in order to build that city. From what I know they’ve always conducted themselves in a safe and responsible manner. In more recent years they’ve shipped relatively small quantities of coal from a nearby mine in Campbell River. The Powder Basin Coal initiative is something else. The folks in Montana are anxious to move tons of this low cost coal to Asian Markets. For the most part ports on the West Coast of the United States have said no. They are concerned, as am I about, local environmental consequences as well as the global consequences of increased emissions. Does it not seem odd that our federal and provincial governments totally ignore this development? For years governments (and scientists) have reminded us about the urgency to reduce fossil fuel use and greenhouse gas emissions. Most Canadians agree and have bought smaller cars; changed their light bulbs, upgraded insulation; used transit and bicycles – and so on. Does it make any sense that we collectively see the urgency to act, and do so, only to have senior government (federal and provincial) essentially ignore the shipment of even more thermal coal to China? Like many on the Sunshine Coast I’ve boated in the Sabine Channel. 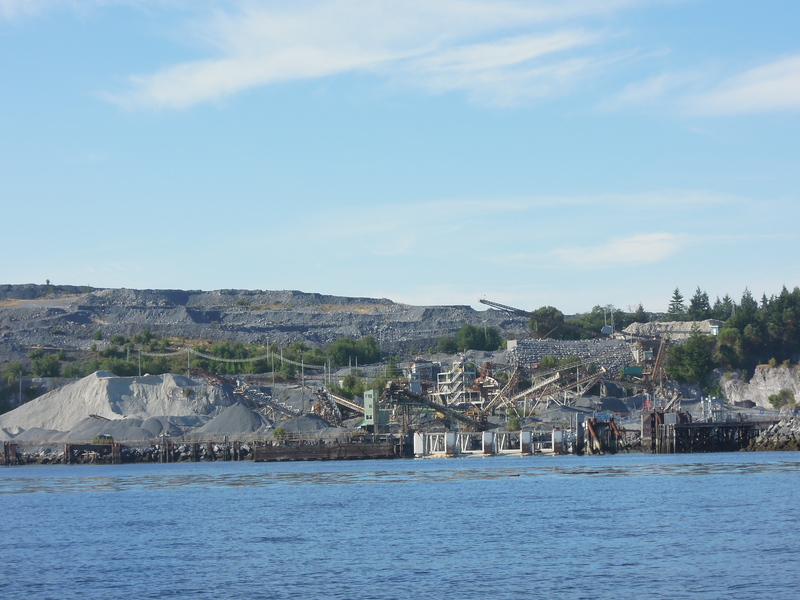 Travelling between Home Bay on Jedediah Island to Shelter Point on Texada and then on to see the (currently smaller) coal storage facility at the Lafarge Quarry Docks is a real eye opener. It frames both the beauty and the environmental frailty of our planet. This development provokes a lot of questions for me. These are a few. 1. What are the climatic and environmental impacts associated with the annual shipment of 4 million metric tons of thermal coal? • 30,000 tons of nitrogen oxide. • 10 million tons of carbon dioxide. • 1500 tons of small particles. • 600 tons of hydrocarbons. 2. What will be the economic and employment benefits for British Columbians? Discussion: It is reported that 25 jobs will be created at Fraser Surrey Docks and 15 jobs at Texada Lafarge. The shipment of cheap energy to Asia facilitates the movement of manufacturing jobs to that region – likely resulting in a net loss of employment to British Columbia; the improved access of Powder Basin coal to Asia likely undermines the price of thermal coal (threatening employment in BC) and the consequence of weather related events which may be owing in part to climate change could cost the economy billions of dollars. For instance in 2012 Hurricane Sandy and the midwest drought likely cost the US economy $100 Billion. In 2013 flood damage to Calgary and southern Alberta is estimated to have cost the Alberta economy $6 Billion. Over 110 people lost their lives in Hurricane Sandy and at least 5 lives were lost in the Alberta flooding. Add in all other sorts of human misery and the cost of these extreme weather events becomes unimaginable. 3. Are there broader long-term social and economic consequences for Canadians? Discussion: For years we have been mindful of the consequences of having Canada’s economic foundation based overwhelmingly on extractive industries. The consequences of our neglect to this fact go well beyond not addressing impacts to the environment and the climate. For instance, we remain hostage to the boom and bust cycles of commodities (such as the current plunge in oil prices); we provide the fuel for off shore manufacturing jobs leaving us to depend on minimum wage retail/mall jobs; or extractive jobs which are often away from homes and families in remote communities and camp settings; we neglect the necessary transformation from carbon energy to renewable energy; and we avoid the effort to build a more diversified and balanced economy which embraces knowledge, research, innovation, localization and beneficial trade arrangements. Moreover, we deepen government’s excessive dependence on revenue from resource extraction while avoiding difficult conversations on controlling expenditures and more rationally looking for broader and relevant sources of revenue – including, for instance, a carbon tax. 4. Will there be an impact on the existing thermal coal industry in BC? Discussion: Coal mining is a big industry in British Columbia with the mining of metallurgical (coking coal for steel) comprising at least 75% of production. Thermal coal is a much smaller part of the industry, but continues to be extracted in at least 9 BC mines. Not withstanding the fact that all countries (including Canada, USA and China) should eliminate thermal coal as a source of electrical energy our shipment of Powder Basin Coal could threaten Canadian jobs. It is asserted that the Powder Basin is the largest and lowest-cost source of thermal coal on the planet. As coal producers in Montana and Wyoming move aggressively in bringing their product to Asian markets (as they intend to via Texada Island) it is expected that the price of thermal coal will decline significantly. This will impact the financial viability of Canadian producers and could even threaten hundreds of existing Canadian jobs. 5. Was the regulatory/oversight/approval process adopted by Port Metro sufficient in authorizing transshipment via the Fraser Surrey Docks? Discussion: The essence of the Mission of Port Metro Vancouver is To lead the growth of Canada’s Pacific Gateway… so the mission of the Port is to grow and expand capacity. This inserts bias into their own environmental review and it is clear that this project proceeding without a comprehensive, scientific and independent review of the totality of environmental implications. 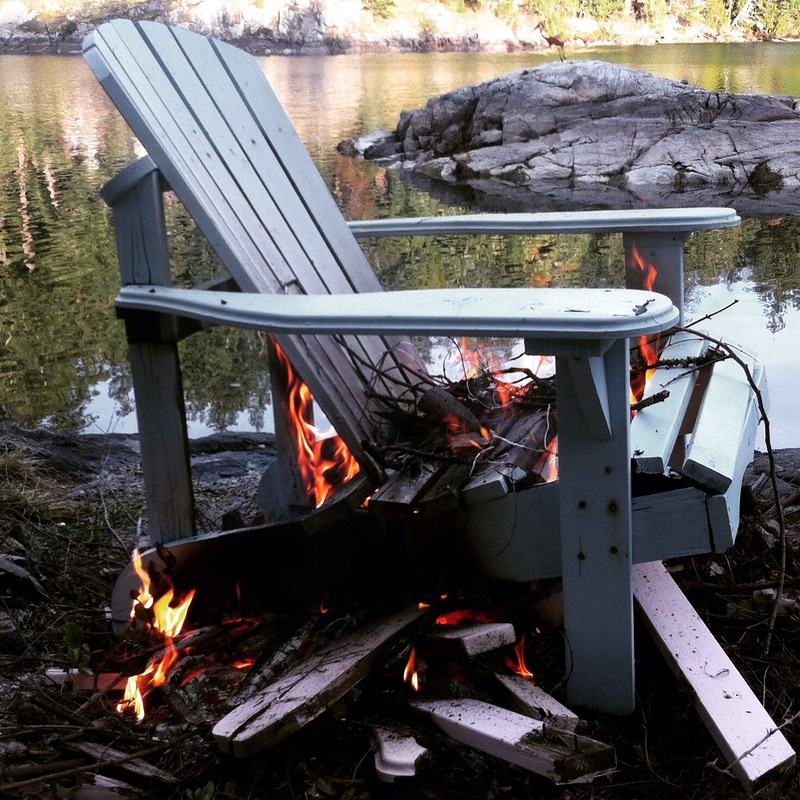 The project did not require a full federal and/or provincial environmental review. 6. Was the regulatory and approval process used by the BC Ministry of Mines sufficient in authorizing transshipment via Texada Lafarge? Has a similar assessment been conducted with respect to the Texada transfer point? Are similar (or otherwise appropriate) safeguards in place? Is there the same level of respect and protection for people living in the PRRD and SCRD as there is for those in the GVRD? 7. How will the environment issues raised in the earlier review conducted by the Power River Regional District be addressed? 8. How can local residents and communities have a voice in projects that have very real local (and global) consequences? Discussion: For years Canadians have taken pride in not only our pristine wilderness, but also our shared commitment to pursue sustainable interaction with the abundant resources afforded to us. This sense of pride and commitment has been seriously challenged in recent years as Canadians increasingly feel they are shut out of the process for approving projects with major environmental impacts. As a small example I asked the mature professional woman living next door what she was assembling a protest sign for. She said she was joining other members of her “church choir” to protest the Kinder Morgan Pipeline on Burnaby Mountain. Everyday Canadians seemingly are not going to take it any more. My background is in public safety and I see governments that are interested in rhetoric, but not in taking real action in the pursuit of public safety. For instance, the Harper Government, has introduced a cacophony of justice legislation with great bumper sticker labels such as the “Lets Get Even Tougher on Criminals Act”. All of this legislation is promoted with much fanfare. At the same time most justice experts deride the legislation as contributing little if anything to do with public safety – as it is based almost entirely on ideology and not much on evidence. At the same time law and regulations intended to safeguard food safety and environmental protection are undermined and weakened by way of the most furtive and clandestine legislative approach possible. Significant legislative change has been introduced by way of omnibus budget legislation, which includes sweeping amendments to Acts such as the Navigable Waters Protection Act, Fisheries Act, Energy Act, and the Canadian Environment Assessment Act. Food safety regulations and the capacity to enforce them have been undermined. We must demand that government view environmental protection as part of Canada’s public safety framework; consider research and evidence; promote the opportunity for openness and debate in proposing legislative change; and create review mechanisms that are inclusive, transparent, accountable and fair. 9. How can government demonstrate leadership? Discussion: Government needs to emphasize that our response to the climate crisis is one that must be met with great urgency; and that the transformation from an economy based on carbon energy to one based on renewable energy can be the opportunity to build a stronger and more sustainable economy going forward. Government’s job is to listen to the concerns of citizens and then to lead. Steve’s Mom: Stephen, you were told not to take a second cookie without asking! Steve: Well I only did it because Barack took another cookie and he didn’t ask. Steve’s Mom: Just because Barack behaves badly is no excuse for you to do the same thing. After a few lessons from Mom and Dad most kids learn that the excuse of relative filth is a poor one and move on to more mature and ethical ways of managing their behavior. That’s not leadership. We need to see leadership. 10. If the coal is shipped how will we explain it to a 6 year old child? Discussion: I see it this way. In the pursuit of 40 jobs we ignore the concerns of citizens, damage the planet, pursue an archaic economic structure already in decay and threaten future jobs and prosperity. I guess we tell this six year old child that a small number of people were being selfish and got their own way, while the rest of us did nothing about it. I hope I am wrong.